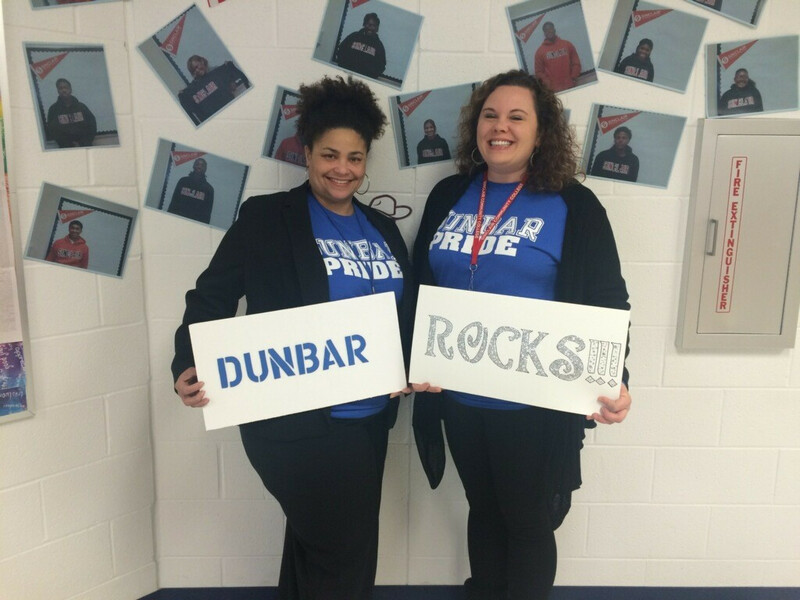 Dunbar E.C.H.S. counselors and program coordinators are working to ensure students have the information and guidance they need to successfully navigate high school and become college- and career- ready. Everyday we help our students succeed in the academic, personal and social, and career realms. We work with the community and school personnel to offer ours students the tools they need to enhance their learning experience and long-term success. Essential guidance lessons are presented in the classroom on an ongoing basis to meet students' developmental needs. Students will need 4 years of math to graduate. This must include one unit of Algebra II or the equivalent of Algebra II. Science units must include 1 unit of physical sciences, 1 unit of life sciences, and 1 unit advanced study in one of more of the following sciences: Chemistry, Physics, or other physical science; Advanced Biology or other life science; Astronomy, Physical Geology, or other earth or space science. *Elective credits must include one credit in business, technology, fine arts, or a foreign language. Achievement test samples and materials from ODE can be found HERE. Each student is required to take and pass the Ohio Graduation Tests. Below are some helpful links. In their junior year, college-bound students should be planning on taking either the SAT or ACT. Check back for College/Career Fairs and Visits Dates! Credit Recovery is an after-school program designed to help students catch up with their credits. They can take classes that they have failed. Students must take either Credit Recovery or Summer School to make up failed classes. Student Information can be found in the Student Code of Conduct. This book will be sent home with each student at the beginning of the year. Please read and review the contents. You will need to sign the back page and return it to the school. Students are encourage to begin to prepare for spring graduation. If you haven't already begun this is the time to start investigating colleges and universities you wish to attend. Don't wait until the last minute and possibly lose out on valuable financial aid and opportunities.